There is nothing better than barbecued tri-tip! My husband and I grill year round on our Weber gas grill and our Weber charcoal grill. 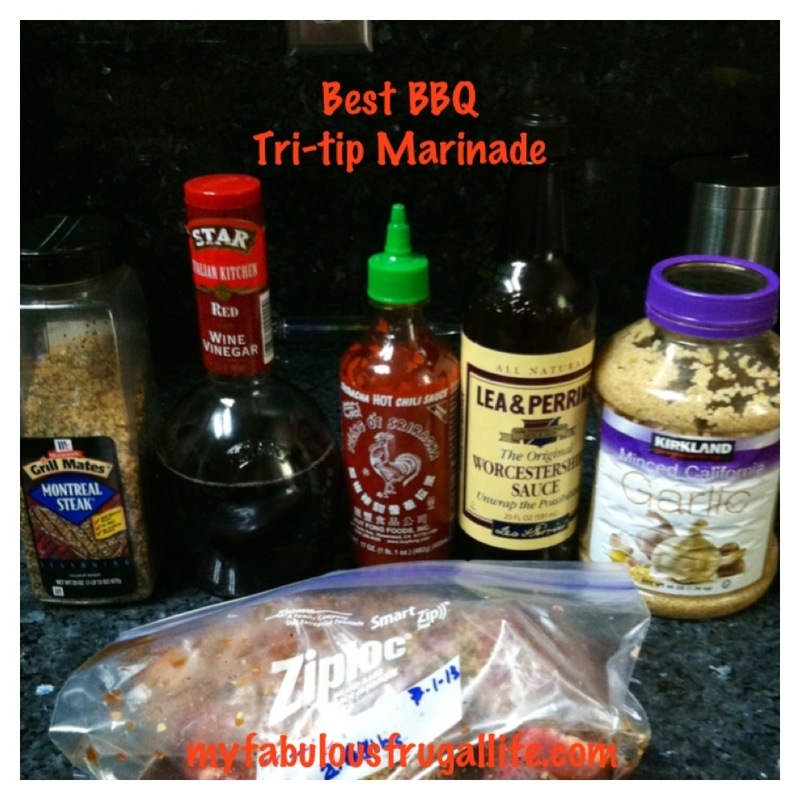 We’ve found from years of barbecuing experience the perfect marinade for tri-tip and how to perfectly grill tri-tip. 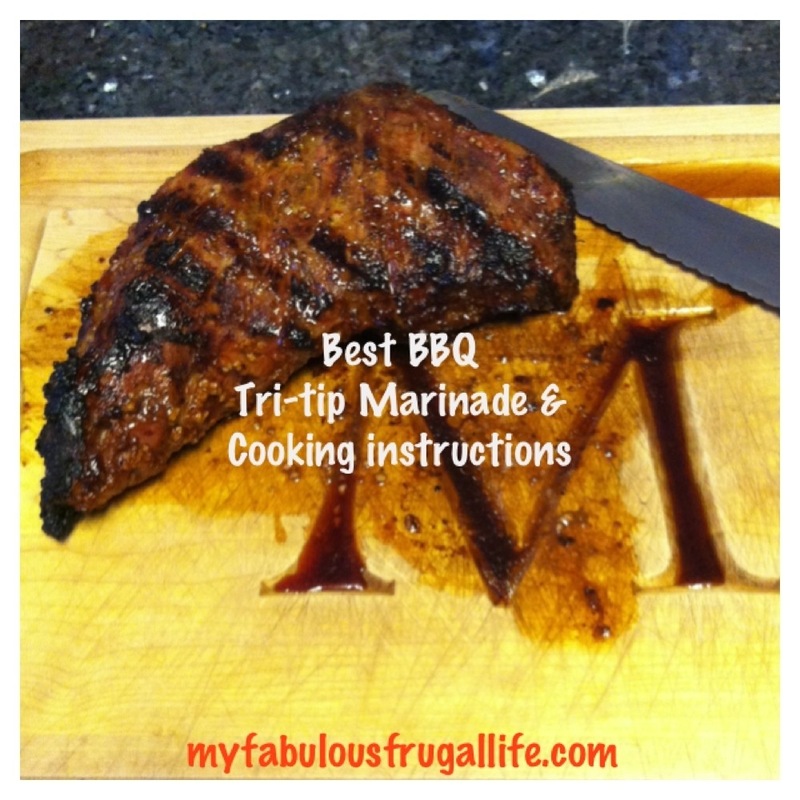 * I will marinate the tri-tip and freeze it until the night before I am going to cook it. I then thaw the meat in the refrigerator for 24 hours or so to let the meat marinate before cooking. The longer you allow the meat to marinate, the better the flavor. 1. Preheat grill with all burners on high for 5 minutes or so. Make sure the grill is clean. 2. Turn your three burners to low, off, low. The burner in the middle of the grill will be off. This is where you will place the tri-tip. 3. Place tri-tip in the middle of the grill fat side up. If the tri-tip has a lot of fat, I will trim it, but it is easy to tell which is the fat side. 4. Close lid on grill. DO NOT OPEN barbecue for 25 minutes. The only exception is if there is excessive smoke or flames shooting out of the grill! 5. After 25 minutes turn over tri-tip, keeping it in the center of the grill. Quickly close lid. 6. Depending on the size of the tri-tip and how well done you like your meat, cook for 20 minutes for a 2 pound tri-tip. I add 5 minutes for every half pound over 2 pounds. This cooks the meat to medium. 7. The key is letting the meat rest after you take it off the grill. I like to let the tri-tip rest for at least 10 minutes. If you don’t allow the meat to rest and you cut into it right off the grill, all of the delicious juice and marinade flavors will literally run out of the tri-tip and dry it out. 8. I recommend slicing the meat with a serrated knife. If you don’t have a meat slicing knife, a bread knife works great! Love this recipe. Been cooking tri tip since 1974 when it was .69 cents a pound. The best! Making this tonight, Cant wait to try it!! Always use these instructions and I don’t bbq. It comes out perfect everytime! Is that 20 minutes per side? Yes! Depending on the size of the tri-tip I would say 20-35 minutes per side. We’ve refined our process since I did this post and cook outs on our Weber kettle and don’t turn it over. A 2.5 lb tri-tip takes about 50 minutes.